Fur trader, MP (1871-1872), MP (1872-1873), MLA (1871-1874), MP (1874-1878), MP (1878-1880), businessman. Born at Forres, Morayshire, Scotland, in 1820, the son of Alexander Smith. He received his education in Scotland and joined the Hudson’s Bay Company in 1838. He married Isabella Hardisty, daughter of Richard Hardisty of the Hudson’s Bay Company, and they had one daughter. He spent twenty years (1848 to 1868) with the Company in Labrador, where he was promoted to chief trader (1852) and chief factor (1862). In 1869 he was appointed to the Montreal office where he rose to become resident Governor and Chief Commissioner for Canada. In 1869 the Canadian government appointed him as a special commissioner to investigate the troubles of the 1869-1870 rebellion. Arriving in late December, he spent most of his stay in Red River under house arrest, but did manage to meet with the people of Red River in public assembly on 19-20 January 1870, where he encouraged the rebels to call the Convention of Forty to present their demands to Ottawa. Although the mission was officially successful, the Canadian government privately felt he had failed, since his real assignment had been to bribe the rebels into complete submission. Smith then became chief commissioner for the HBC, serving until 1874 when he became land commissioner for the company. One of his first acts as Chief Commissioner was to negotiate with the North American partners of the HBC, agreeing that they would not share in the payment for the territory. In 1883 he became a director and in 1889 governor of the HBC; by this time he was its largest stockholder. During his years as commissioner, Smith spent much time in Manitoba. In 1871-1872, he served as founding President of the St. Andrew’s Society of Winnipeg. He was elected to the Legislative Assembly of Manitoba in December 1870, and was also a member of the House of Commons, representing Selkirk, elected in 1870, 1872, 1874, and 1878. His break with Sir John A. Macdonald in 1873 helped lead to the fall of the government. He was frequently criticized for election corruption. In 1887 he was elected a member for Montreal West, a seat which he retained until 1896, retiring when he was appointed Canadian High Commissioner in London, a post he held until his death. He played a leading role in railway development in Canada, being a member of the syndicate which purchased the St. Paul, Minneapolis, and Manitoba Railway in 1879. Later in 1880 he was one of the organizers of the Canadian Pacific Railway, and was chosen to drive the last spike at Craigellachie, British Columbia. He became a pillar of the Bank of Montreal and had his hand in all sorts of business activities. Raised to the peerage in 1897, in 1898 he raised, equipped and maintained a unit of mounted rifles (Lord Strathcona’s Horse) for service in the South African War. In later years he received innumerable honours from government and the private sector. Smith made gifts to various institutions, such as McGill University, Aberdeen University and the YMCA. In 1897 he was elevated to the peerage as Baron Strathcona and Mount Royal. 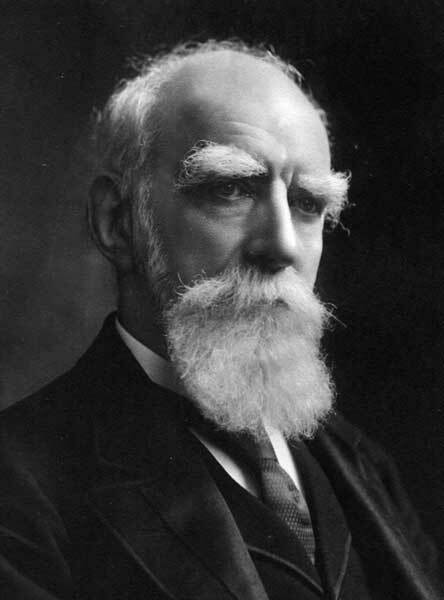 In 1889 he was elected Chancellor of McGill University and in 1903 Chancellor of Aberdeen University. Smith died at London on 21 January 1914. He is commemorated by Donald, Smith and Strathcona Streets in Winnipeg, and the Rural Municipal of Strathcona. The Life of Lord Strathcona and Mount Royal by Beckles Willson (1915). Donald Alexander Smith, Dictionary of Canadian Biography XIV, 939-47.